Mandara Spa is located between the Beach and Villa pools. 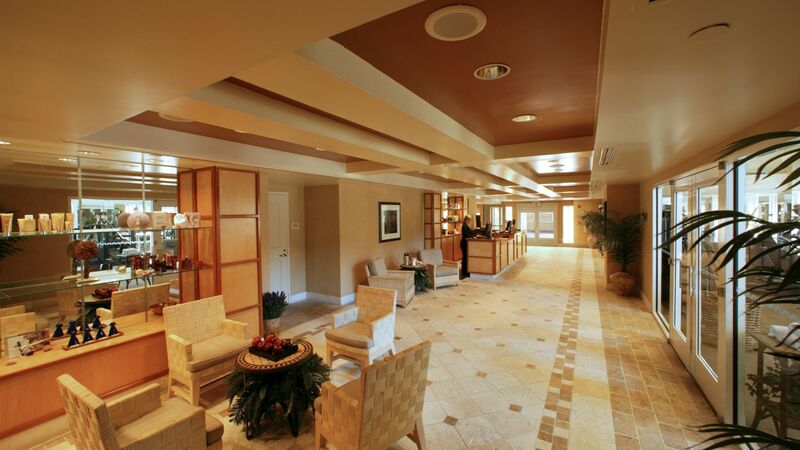 To schedule treatments, you may call our spa directly from a hotel phone by calling the spa directly at 407-503-1244. You may also book online at http://steinerspas.vipguestservice.com. We require a major credit card upon booking. Reservations are recommended, although we do welcome walk-ins and will do our best accommodate you. Please arrive at least 30 minutes prior to your scheduled appointment so you can relax and make full use of the facilities. Upon check-in please present all gift certificates and promotional offers. Regretfully, if you are late for an appointment, we may need to shorten your treatment time to be on schedule for the next guest. To maintain the serenity of the spa, we ask you turn off your mobile phone and electronic devices upon arrival. Enjoy an invigorating workout at Mandara Spa’s Fitness Center. From free weights to a variety of cardio machines, our facilities are designed to keep your workout routine while staying with us. The Fitness Center at Loews Portofino Bay Hotel is available to guests at least 18 years of age staying within the Loews Hotel Complex at Universal.Guests who purchase a spa or salon treatment receive a complimentary Fitness Center day pass valid on the same day. Guests enjoy complimentary access to the Fitness Center. Spa guests are required to be 18 years or older to receive treatments or utilize the spa and fitness facilities. Guests under 18 receiving a teen or kid treatment must be accompanied by a parent or guardian. Swimsuits are required. For further details, please request our teen and kid spa menu. We require at least 4 hours’ notice for cancellation to avoid being charged full price for your treatments to the credit card provided when booking your services. For your convenience, a 20% service charge in lieu of gratuity will be automatically applied to the final bill. Your provider will receive 100% of the service charge. Gratuity for exemplary service is discretionary. Prices and services are subject to change without notice. For the safety of your valuable items, we suggest you leave all jewelry and money in the safe provided in your hotel room. The spa will not assume any liability for valuables. Unopened products may be exchanged within 14 days of purchase if you have an original receipt. We cannot exchange opened products. Gift cards are available for all services, spa packages, or a dollar amount. Gift cards are packaged in an attractive envelope ready for presentation. Your special day requires special attention. Allow us to tailor our services to create lasting memories for you and to meet the needs of your wedding party. Prices vary by season and wedding party size. Ask the Spa Director for details. If you are bringing a group to stay at Loews Portofino Bay Hotel at Universal Orlando, don’t forget to pre-plan spa arrangements for your guests. Our knowledgeable and attentive staff works closely with many individual and professional event planners and coordinators for groups of 10 to more than 600 to assure a successful event. Contact us to discuss your special event.